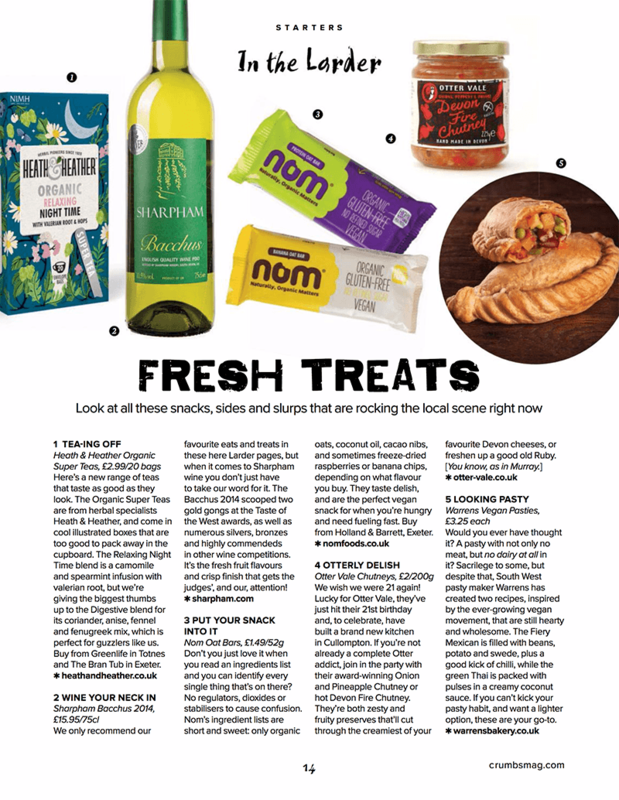 Did you know that Otter Vale has been featured in Crumbs Magazine TWICE? We’re incredibly pleased to receive regional recognition for the quality of our products and we hope you enjoy them as much as we do. 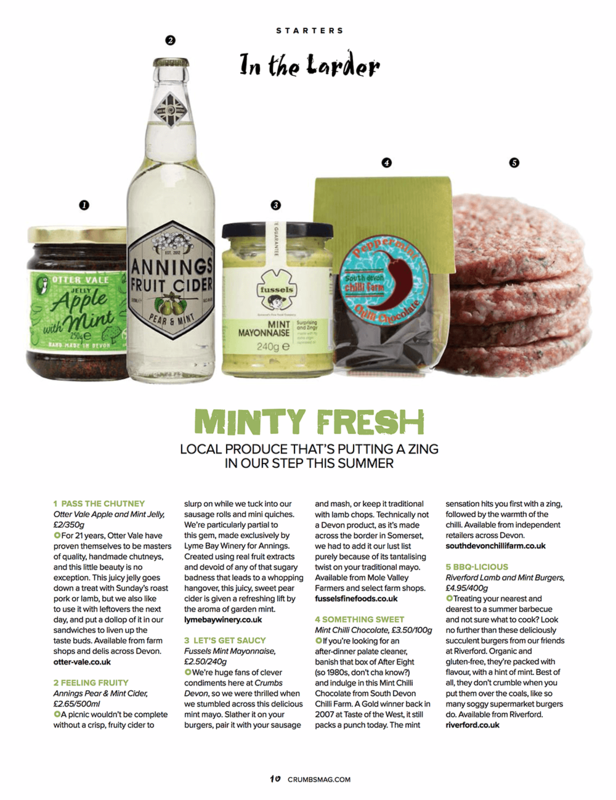 Our Apple & Mint Jelly stole the show as part of their Minty Fresh larder page (see above). Meanwhile, our Devon Fire Chutney & our Award-Winning Onion & Pineapple Chutney were both featured in line with our 21st business anniversary last year.